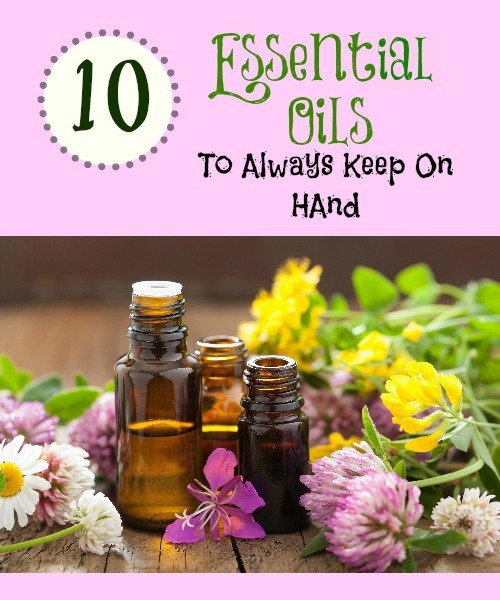 I love essential oils so much I had to do a post about my favorite 10 essential oils I like to always keep on hand. Let me start by saying that I have been using essential oils for over 20 years. I know most everyone who uses essential oils has a favorite company and will argue that theirs is the best. I do believe that you get what you pay for. I have bought cheaper priced oils online that I ended up sending back because I could tell immediately they were not as good. In fact, my daughters skin swelled up everywhere she had applied one of those cheaper oils. That was when I knew I needed to be careful where I was buying my oils, especially if I was using them on my children. This is not a post on the best essential oil company but, for the sake of being able to really share our favorites, I will say that we use oils from 3 companies I trust: Young Living, DoTerra, and Rocky Mountain/Native American Nutritionals. Most of the oils I buy are from the latter because I believe they have the same high quality oils but without the marked up multi level pricing. I did a lot of research, trust me! Unless I state otherwise, most of the oils I use are from Rocky Mountain Oils. While most of the oils I have listed are blends from this company, I have found almost all the other essential oil companies have very similar blends that work the same. Just make sure you are buying from a reputable company that only sells high quality oils. Do your own research. 2. Peppermint. My first memory of peppermint oil was when my mom put a drop of it on a spoon with some water and made me take it after vomiting one night. She said, “This will do one of 2 things, if your body needs to throw up more, it will help it do that, otherwise it will help to calm your stomach.” Luckily for me, it did the latter and for the most case, that is what peppermint does. I have used it for upset stomach, muscle pain, headaches, staying alert, bad breath, and cooling down a fever. 3 First aid. I absolutely LOVE this blend! This is a blend with Tea tree, Rosemary, Clove, and Helichrysum. I keep it right next to my band aids because that’s where it always gets used. It’s uses are endless, just like lavender but I noticed it helps more to speed healing. For us, it works better than antibiotic cream. I recently used it to heal a very stubborn case of athletes foot and to heal some deep cracks on the bottom of my sons big toes. 4. Citrus bliss. I want to drink this oil, it smells so good! I bought it mainly because I loved the scent and use it as a perfume but found out later that it was great for depression. Maybe that’s why I fell in love with it during my 6 weeks of post partum! 🙂 This is a DoTerra blend but Rocky Mountain does make one that’s REALLY close called Citrus Passion. Citrus Bliss contains Wild Orange, Tangerine, Lemon, Clementine, Vanilla, Mandarin, Grapefruit and Bergamot. 5. Immune Strength. Great for rubbing on my kids feet to deter the nasty germs. I also use it in a spray bottle with water to disinfect counters and doorknobs. Young living makes a similar blend called Thieves and Do Terra’s is called On Guard. I personally like the smell of Immune strength. It contains Clove Bud, Cinnamon Bark, Lemon, Eucalyptus citriodora, Thyme, Orange, Oregano, Nutmeg, Rosemary, Mandarin, and Ginger Root. 6. Tranquility. My favorite blend at night for my kids (and me) to calm us all down. Another heavenly scented one! This one is also good for depression and anxiety. I love to diffuse it at night. If you’re a Young Living fan, Peace and Calming is very similar. 8. Breathe. There are lots of similar blends out there that are great, but I just love the smell of DoTerra’s Breathe. I just wasn’t happy with anything else. I rub it on my kids feet when they get coughs that won’t subside at night and I diffuse it in their room at night. I use caution with my babies and toddlers though and make sure not to get it in their faces or on their hands, just on their feet and chest and then I put footie jammies on them after. My mom always warned me that eucalyptus (which is in this blend) is poisonous if taken internally especially in younger children. I’ve since confirmed that through my own research. Whatever company you buy from, I hope you enjoy essential oils as much as our family does!